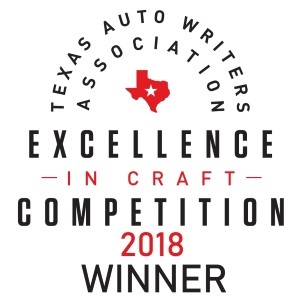 As long as I can remember my father has been a fan of BMW, the car he most fondly spoke about was the BMW 2002 that he had when he and mom were first dating. So when I had the chance to take part in the driving school at the BMW Performance Center in Thermal, CA (near Palm Springs) I, of course, had to include my dad on the trip. BMW's West Coast campus is at the beautiful Thermal Club, a private racetrack outside of Palm Springs, California. The weather is perfect this time of year in the deserts of Southern California. When we arrived we were greeted by Adam, the lead driving instructor, who would be our guide smoking tires and sliding sideways. We got dad some official BMW gear in the pro-shop then Adam walked us through an outline of our day. 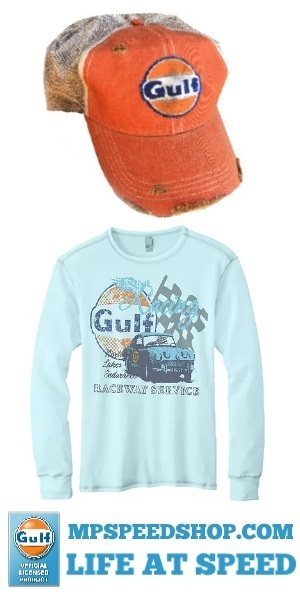 When you arrive at the track, expect to have a short classroom introduction. In class, you will learn some basic terms like oversteer, understeer, and other important info for your experience, so don't worry if you are not an experienced driver, this program is for everyone. 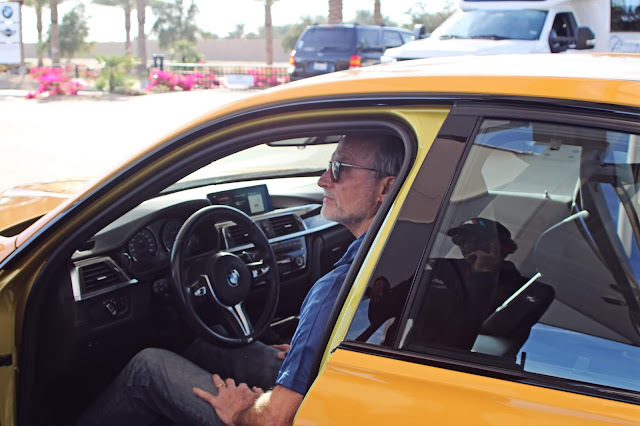 We headed out to the cars, where Adam walked us through the proper seating position and the function of the car paddle shifters, traction control settings, etc. 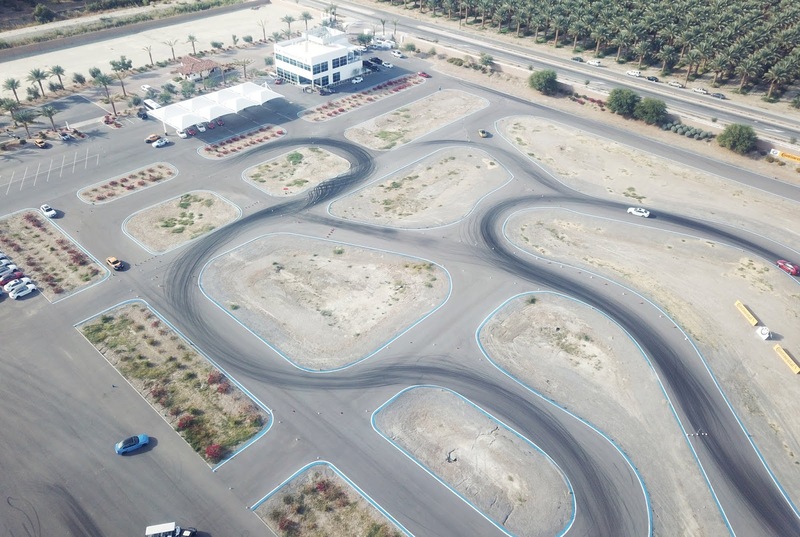 then it was off to the skidpad where Adam took my dad out to show him the basics of drifting, car control, and then it was my dad's turn, after a few laps, dad was drifting like a pro and grinning from ear to ear. 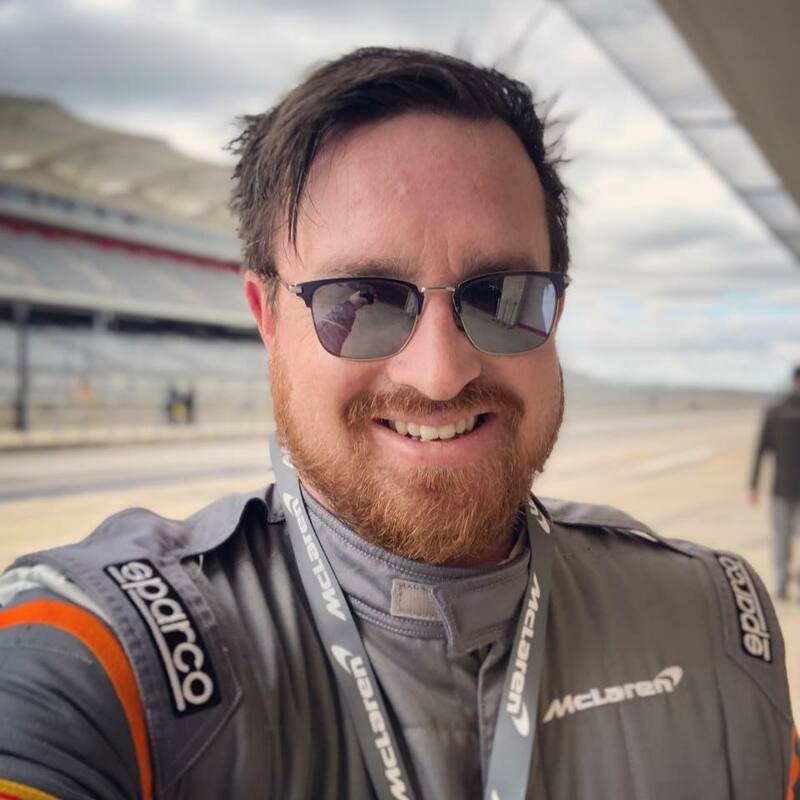 From there we headed over to the autocross course where after a few instructional laps with Adam we were turned loose to take turns trying to beat the clock and each other. My dad was pushing it hard and getting his times down in the low 25-second mark. 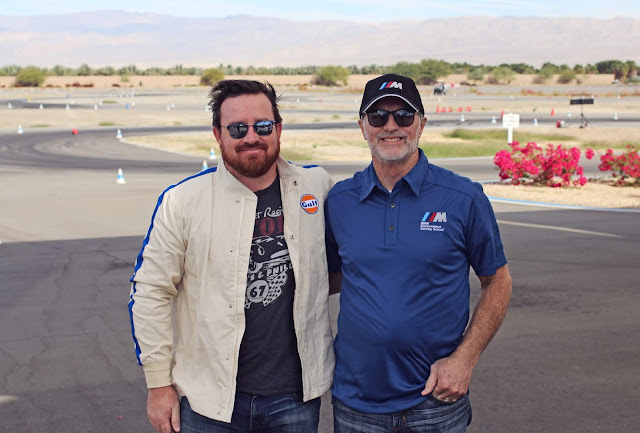 After dad, it was my turn to take on the autocross course and to see if I could beat him. 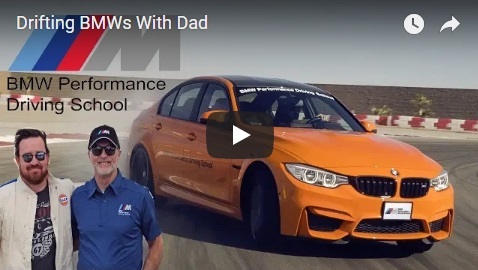 Through much radio coaching from Adam, I got down in the 25-second range as well, but dad ended up being a few tenths of a second faster than me. 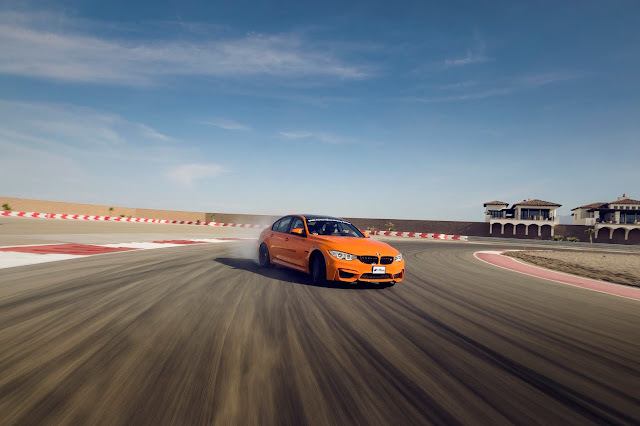 According to the instructor it was because I was utilizing the "Jeremy Clarkson method" of Powwweeeerrrrr, when I should have been a little less throttle happy, but how can you not want to mash the gas pedal when you get to hear the M3's exhaust at full roar. 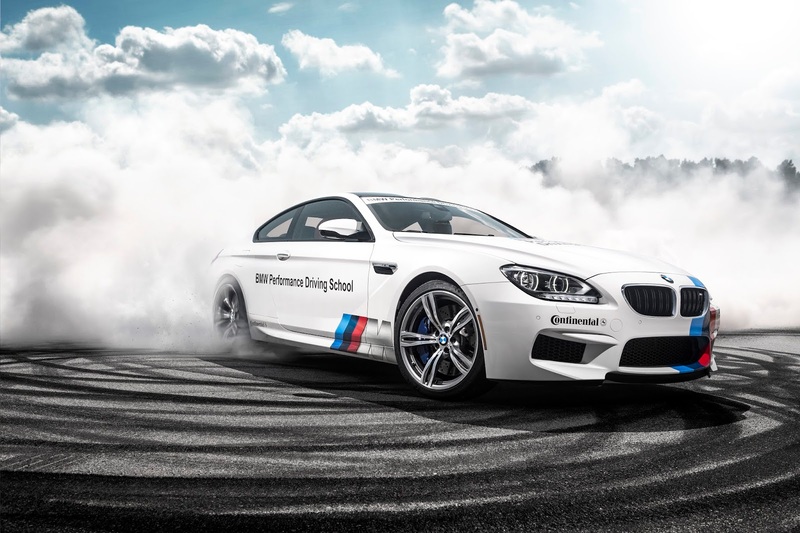 The BMW Performance Center Driving School offers a wide range of courses and programs from teen driving courses, to 2-hour, one and two-day schools, to corporate driving programs, and of course, private performance driving classes for BMW owners and enthusiast. 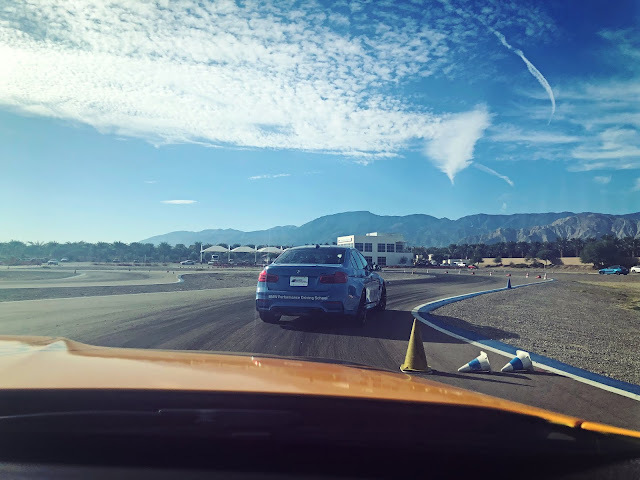 If you are looking for a unique experience on your next trip to Palm Springs or Chochella be sure to add the BMW Performance Center to the list, it's much more exciting than golf or tennis and you come out of it with a better understanding of car control and your car's capabilities. For more information or to plan your visit check out bmwperformancecenter.com check out my video from the day here.